I'm using the open 12U version as my main case. 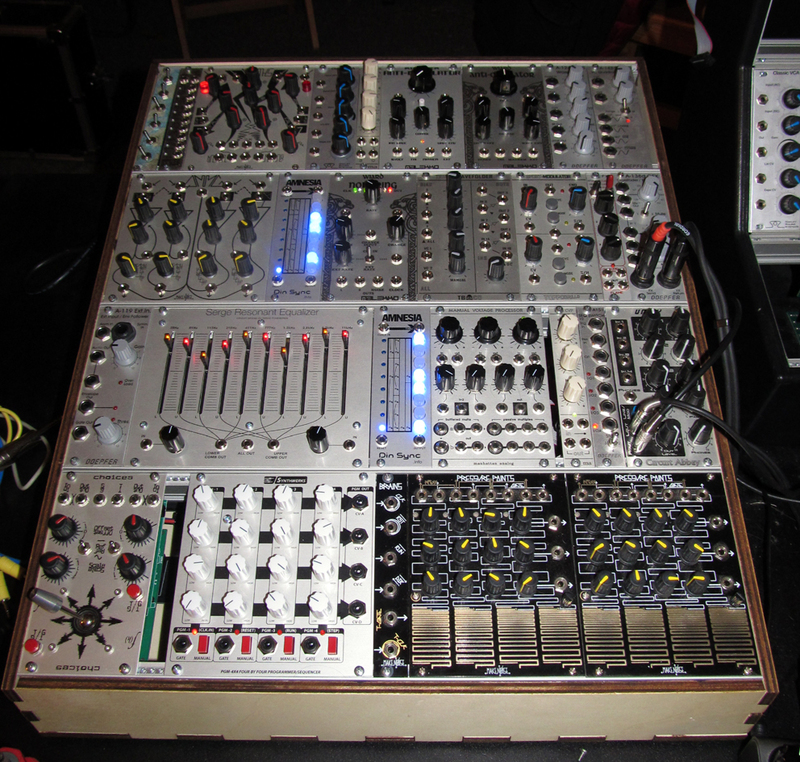 Didn't have the closed option available when I bought mine though Also bought the soft case for it, which is very well made and works well for transporting the modular in the car to gigs and such. Not a bad case at all. 85hp rails (fits exactly 85hp, works well for me as I have a few odd numbered modules). Power supply is ridiculously beefy, from the webpage: 2200mA on Positive Rail & 1500mA on Negative Rail. No 5V unfortunately, but I only have one module that needs 5V and doesn't have an onboard supply (MI Braids). For that I've got a Flight of Harmony 5V adaptor that supplies 5V to one of the busboards. 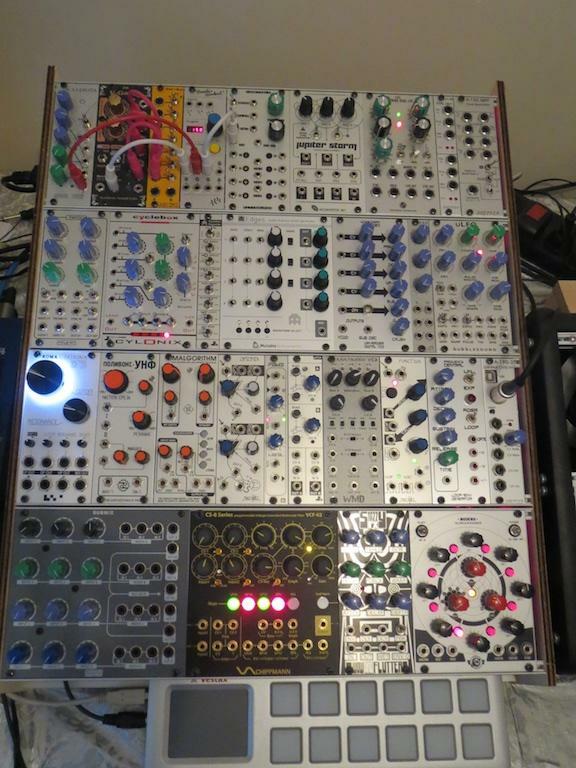 FoH, Doepfer, Make Noise, Mutable Instruments and others all make a similar modules (all of which are quite cheap), so adding one or two of them to the case would cover your 5V needs quite adequately. The main 12V is plenty though, have filled my case completely and haven't even gotten to half of the rated output!!! Sandy @ADDAC was fantastic to deal with and went out of her way to organise shipping the case disassembled to me across the world to Australia at the most cost effective price. They also followed up unasked to make sure everything was fine. Great customer service, heartily recommend dealing with them! Overall, quite happy with the case. Will probably get my dad to build a new fully closed shell for mine at some point, but that is covered with the new closed version of the case. Here's an older pic of mine filled up.